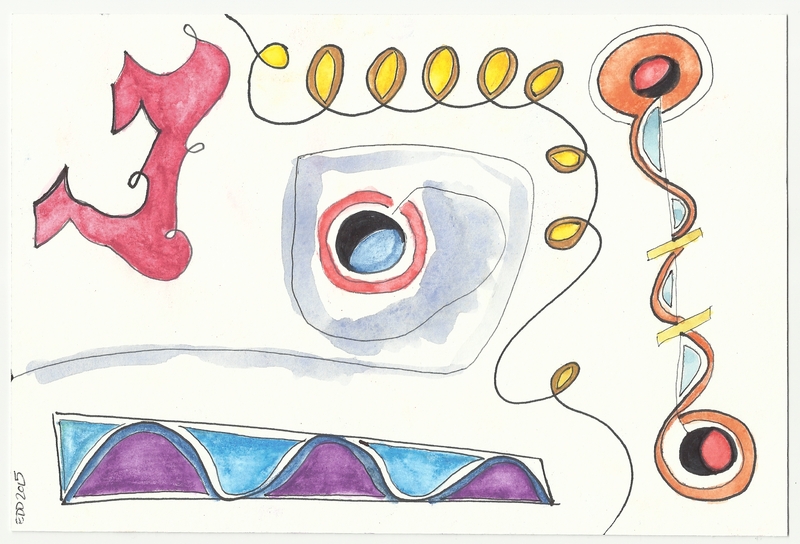 This piece draws a little inspiration from Joan Miro. I find myself reflecting on this piece and making discoveries as I take in the different shapes and images. I’d like to hear how you connect with it as viewers. Please feel free to share.